This Edmonton Journal article and many others across the country report on recent comments by Canadian Pacific Railway CEO Fred Green about Hunter Harrison, former CEO of CN Railway. Some investors in CP have proposed that Hunter Harrison replace Green in an attempt to improve CP’s bottom line. The Journal article reports, “Green said Harrison’s reputation precedes him in Canada and several of CP’s customers have said they would consider moving their business elsewhere if Harrison is appointed CEO (of CP).” Green went on to say, “You can work your way across the breadth of stakeholders, whether it’s communities, governments, customers, or shareholders, people see the risk attached to this proposal. The venom that exists in the shipper community towards the dismissive attitude that Mr. Harrison brought to the marketplace is what it is.” Green also said, “At CP, relationships matter”, implying that such was not the case at CN under Harrison. Railroaded has reported previously that CN’s focus on profits since it was privatized in 1995 has resulted in its community relations, environmental record, customer relations, safety record and employee relations suffering significantly. CP CEO Fred Green’s recent comments certainly appear to confirm this. Our community’s first-hand experience with CN is yet another example of Mr. Green’s perspective on the railway giant. 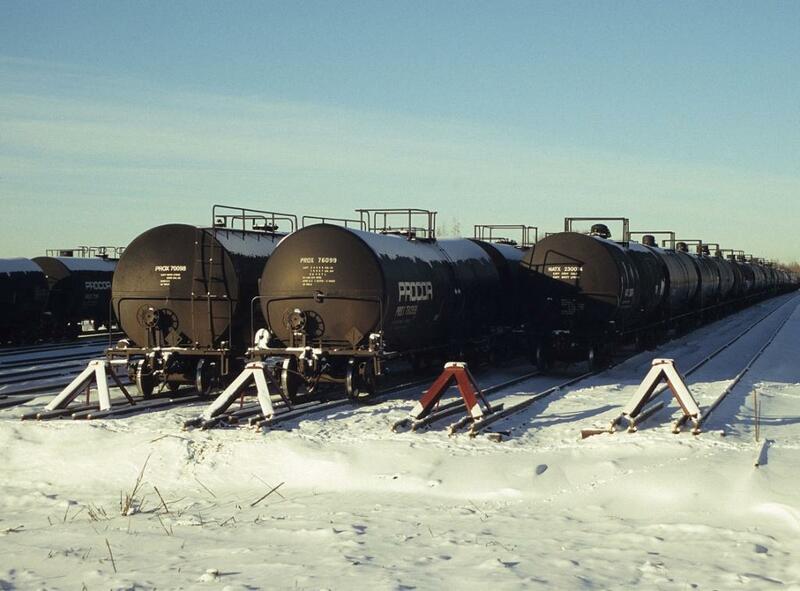 In 2010, CN partnered with Cando Contracting Ltd. and Imperial Oil Ltd. to build a rail yard in southwestern Strathcona County near Edmonton to store 225 petroleum tanker cars. None of the partners – CN, Cando Contracting Ltd. or Imperial Oil Ltd. – notified immediately adjacent landowners or gave them an opportunity to comment on their plans. Before the community had a chance to review the project, construction started and was completed within 5 months. Many federal laws, CN policies and code of conduct, Imperial Oil policies and code of conduct, and joint Railway Association of Canada/Federation of Canadian Municipalities guidelines have been breached in the construction and operation of this rail yard (see many earlier Railroaded blogs). CN, Cando Contracting Ltd. and Imperial Oil Ltd. consistently ignored communications, questions and concerns from our community about the rail yard and its impacts on immediately adjacent residents and 2 wildlife conservation areas. Now that the rail yard is built and operational, the whole nature of our community has changed from agricultural/wildlife conservation to industrial. CN has also ignored compensation requests associated with a wildfire caused by CN on May 17, 2011, which burned 1.5 to 2 acres of the Bretona ConservAction Area, only 100m from the tanker car rail yard. Based on our community’s dealings with CN, we wholeheartedly agree with Fred Green’s assessment of the “dismissive-attitude” railway company Hunter Harrison has helped to build. ~ by railroaded on April 6, 2012.